The ARCA Racing Series presented by Menards will once again feature 20 races at 18 tracks in 2019, and all 20 are scheduled for live television broadcast on either FS1, FS2, or MAVTV. Eight races are scheduled for broadcast on the Fox Sports networks, FS1 and FS2, all part of the General Tire Superspeedway Challenge. Twelve races are scheduled for broadcast on MAVTV, including the entire Sioux Chief Short Track Challenge schedule and one superspeedway event. The FS1/FS2 broadcast schedule includes the season opener at Daytona International Speedway on Saturday, February 9 live on FS1 starting at 4:30 pm ET. Other FS1 events include races at Talladega Superspeedway on Friday, April 26, Charlotte Motor Speedway on Thursday, May 23, Michigan International Speedway on Friday, June 7, Chicagoland Speedway on Thursday, June 27, and Pocono Raceway on Friday, July 26. Two races will be broadcast on FS2, the first Pocono race on Friday, May 31 and the season finale at Kansas Speedway on Friday, October 18. ARCA’s relationship with Fox Sports reaches back to April 20, 1997 when SpeedVision covered the series’ event at Salem Speedway. SpeedVision, SPEED, FS1 and FS2 have combined to broadcast 256 ARCA Racing Series presented by Menards races over the course of 22 years. MAVTV’s broadcast schedule begins with ARCA’s return to Five Flags Speedway in Pensacola, Florida for the first time since 1996 on Saturday, March 9, and continues with races at Salem Speedway on Sunday, April 7, Fairgrounds Raceway Nashville on Saturday, May 4, Toledo Speedway on Sunday, May 19, Madison International Speedway on Friday, June 14, Gateway Motorsports Park on Saturday, June 22, Elko Speedway on Saturday, July 13, Iowa Speedway on Friday, July 19, the Springfield Mile on Sunday, August 18, the DuQuoin State Fair on Saturday, August 31, Salem Speedway on Saturday, September 7, and Lucas Oil Raceway on Saturday, October 5. “The ARCA series provides great race action on the track and we are delighted to bring it to our MAVTV viewers live in 2019,” said Bob Patison, President of MAVTV Motorsports Network. ARCA’s current broadcast relationship with MAVTV started in 2017 with ten races, four of which were live and six shown on a tape-delayed basis. In 2018, that relationship grew to twelve races, eleven of which were scheduled for live coverage. In 2019, the network is again scheduled to broadcast 12 races but for the first time each one is slated to be shown live. 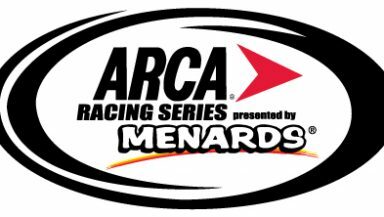 ARCARacing.com will continue to provide live timing & scoring, live chat, and live track updates every time the ARCA Racing Series presented by Menards is on the racetrack for an official practice session, qualifying, and throughout every race free for ARCA for Me members. New members can register for free at ARCARacing.com/login.